Continental Winter Contact TS 850 the latest tyre test from the German Motoring Magazine “Auto Zeitung”. The German tyre results are very important. Especially when it comes to winter tyres. Germany still has many motorways. That do not have a speed limit. So during winter time they are very choosy about which winter tyres will be the best for their car. Winter tyres are no longer the big chunky treaded tyres. They used to be. They now have to drive at high speed down the German motorways. Then up the mountains on their way to the ski slopes, in Austria, Italy and France. The outright winner in the Auto Zeitung winter tyre tests. 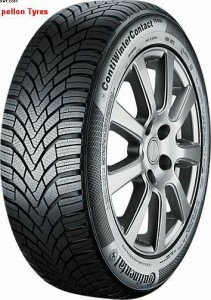 Were Continental tyres, with their new tyre the ContiWinterContact TS850. The Continental tyre company are a German based tyre company. They know how to make a winter tyre that can be driven throughout the winter months. In all kinds of conditions. Continental Winter Contact TS 850 has come out on top in German magazine Auto Zeitung’s winter tyre test, closely followed by Nokian’s WR D4. The Winter Contact TS 850 came a close first place, but the other big tyre companies all fared well with their winter tyre products. In snowy conditions Nokian, Michelin, Goodyear and Uniroyal (another product owned by Continental) were all slightly better, but they were all very close and the Contact TS 850 came up trumps in wet braking. This tyre has a very strong stopping capability, coming out best in the wet conditions overall. If you are a Continental tyre fan then this is the winter tyre for you. There is no doubt that the winter tyre market is hotting up, in terms of extreme quality and the ability to fulfil the massive amount of different tyre sizes that are now on the market. https://www.pellonautocentre.com/wp-content/uploads/2015/06/Logo_PellonCleanTrans.png 0 0 Eric https://www.pellonautocentre.com/wp-content/uploads/2015/06/Logo_PellonCleanTrans.png Eric2018-07-20 05:19:392019-01-06 08:09:58Continental Winter Contact TS 850 wins German magazines winter tyre tests.